Haiti is one of the Caribbean’s best-kept secrets, but word is starting to get out on this island that has a uniquely French flavored creole culture. New hotels and investments are coming into Haiti as the island slowly recovers from a series of natural and economic disasters. Our Haiti Travel Guide with share the vibrant culture and nightlife, magnificent architectural attractions, and stunning natural beauty that Haiti has to offer. Haiti has two magnificent architectural attractions, Sans-Souci Palace, known as the Caribbean Versailles, and Citadelle la Ferriere, the largest fortress in the Caribbean. Both are near Cap-Haïtien, Haiti’s second-largest city. Port-au-Prince’s chaotic Iron Market is packed with stalls selling everything from fruit to religious totems. Haiti’s top natural attractions include Étang Saumâtre, a large saltwater lake with flamingos and crocodiles, and the Bassins Bleu, three deep blue pools linked by spectacular waterfalls. Tranquil beaches, tumbling waterfalls and pine-tree-capped mountains dot the varied and striking landscape, easily rivaling the natural beauty found anywhere else in the Caribbean. The world’s only successful slave rebellion happened here, and the music, art and culture that came with it make Haiti entirely unique. As those who come to assist Haiti often learn, an encounter with the soul of this fascinating, beautiful country often benefits a traveler just as much. Our Haiti Travel Guide will provide you with everything you need to plan and book your beach vacation to Haiti. For more information the beautiful beaches of Haiti, visit our Greater Antilles Travel page. Haiti is part of the islands that make up the Greater Antilles. November to March has the hottest, driest days in most of the country (with the exception of some rain in the north). These months are ideal for travel due to attractions such as the countrywide Fet Gédé Vodou festival (November), and Carnival in Port-au-Prince and Jacmel (February). April to June there is quite a bit of rain in south Haiti, as well as in Port-au-Prince. Hurricane season lasts from August to October, and many days are humid with considerable rainfall. Still, travel is perfectly feasible if there are no big storms. The best time to visit Haiti is between June and August. Unless you’re a citizen of the DR, Colombia or Panama, no visa is needed to visit Haiti, just a valid passport and a return or onward ticket. Your entry stamp entitles you to stay for up to 90 days. If you wish to stay longer, you must apply for a visitor/resident visa at your nearest embassy before you travel. This process can take several months, involving letters of support from your employer or a Haitian resident. All foreign visitors must have a valid passport to enter Haiti. Be sure you have room for both entry and exit stamps, and retain the green entry card you’re given on arrival, as you may be asked for this on departure. Most travelers enter Haiti by air through Port-au-Prince, with the most common flight routes all being from the US – Miami, Fort Lauderdale and New York. The international airport at Cap-Haïtien also handles a small number of incoming flights. 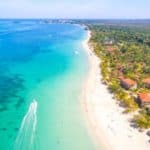 By land, there are several border crossings with the Dominican Republic, and direct bus services link Port-au-Prince with Santo Domingo, and Cap-Haïtien with Santiago. There are no international boat services to Haiti. In general, it is strongly recommended that visitors to Haiti do not rent a car. This is primarily because the roads of Haiti are not up to international standards and driving a car is generally considered dangerous. However, there are plenty of visitors who do opt to rent cars upon arrival at the airport and many report having a decent time doing so. Public transportation is considered to be the best method of getting around the area so visitors are strongly encouraged to learn about the public transportation system and to use it as much as possible, avoiding renting a car unless it is absolutely necessary. The main method of public transportation is the city bus. Visitors are forewarned, however, that this bus is unlike standard city buses in many major western cities. There are bus terminals where visitors can get the bus, primarily located in Port-au-prince and Cap-Haitien, although they are also located in other areas of Haiti. The buses do not run on a set schedule like buses in other major cities generally do. Instead, the bus driver waits until the bus is full and then leaves the bus terminal. Travelers also often make use of taxis in the area. Taxi service also differs from that in other areas of the world, with the main difference being that taxis pick up passengers until the car is full. This means that you may be riding with strangers to your destination. However, most travelers enjoy this. It gives them a chance to meet some other travelers and even some locals in the area and they often find that they would like to see some of the places to which these other people are heading. Fares are always the same so visitors do not have to worry about added charges for the detours of going around with the others. Jacmel’s Carnival celebrations are famous across Haiti, and every year thousands of partygoers descend on the city to take part in this fantastic spectacle. The streets suddenly swell and everywhere you look are strange figures in fantastical papier-mâché masks – the signature image of Jacmel Carnival. You can see the masks being made and on display in the ateliers year-round. Jungle animals jostle with mythical birds, giant fruit and lwa (Vodou spirits). Mixed in with the procession are celebrants dressed as Arawaks and colonists, and horned figures covered in molasses and soot, who tease revelers with their sticky grab. St Michael and his angels ritually fight the devil, while gangs of monsters – caricaturing military misrule – growl scarily at the crowds. There’s even a donkey dressed up in peasant clothes and sneakers (an old Carnival favorite). Music is everywhere, from bands on organized floats to rara (one of the most popular forms of Haitian music) outfits on foot. It’s an enormous party. The procession kicks off roughly around noon, with celebrations continuing late into the night. For more information on the carnival,visit them on the web at Carnival in Jacmel. 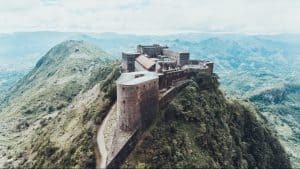 The Citadelle Laferrière is a mountaintop fortress, located on the northern coast of Haiti – on the top of mountain Bonnet a L’Eveque. There are fantastic views on three sides of tumbling green peaks and, to the north, Cap-Haïtien, where the streets are lined with colorful shops, watch-menders and old men playing dice. The Citadel is one of the most popular tourist destinations in Haiti. Directions to and history of the fortress are provided by self-appointed guides from the town of Milot. Visitors are encouraged to rent a horse for the uphill trek. The first portion of the seven-mile trail is navigable by 4WD vehicle. From the mid-level parking lot, the second portion must be completed either on horseback or on foot. The entire seven-mile-trail starting in Milot, almost completely uphill, can be walked by experienced hikers who carry plenty of water. Most of the interior of the Citadel fortress itself is accessible to visitors, who may also climb the numerous staircases to the fortress’s roof, which is free of guardrails. On a clear day, the city of Cap-Haïtien and the Atlantic Ocean can be seen to the north. For more information call (509) 3816-0100 / 3816-0002, or visit their website at Citadelle Laferrière. Hidden in the hills above the picturesque town of Jacmel in the South East Region of Haiti, Bassin-Bleu is an experience of a lifetime. Local guides will aid you in your journey. Jump from the waterfalls, swim in the cool basins, enjoy the cool cover of the lush vegetation in your own private grotto. 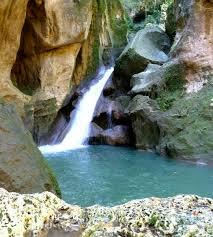 Bassin-Bleu is truly a national treasure of Haiti – in fact, a reason to make the journey to the island of Hispaniola. Travel to Bassin-Bleu is restricted to a minimal amount of tourists per day to preserve its environmental integrity. Because of this exclusivity, please make sure to check with your local resort to ensure you will be able to travel on your desired day. Also, please make sure you leave Bassin-Bleu as pristine as you found it. For more information about Bassin Bleu, visit them on the web at Bassin Bleu. 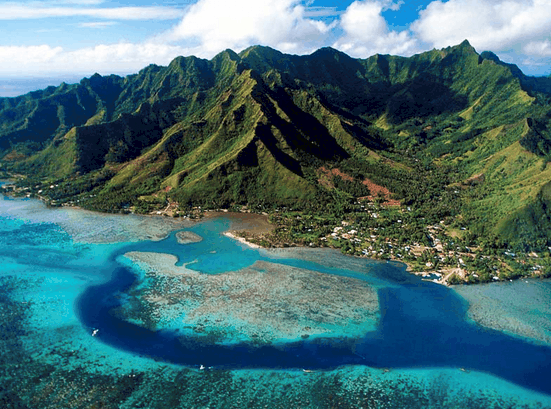 Your basic paradise, this tiny island offers fine white sand, a lush core of trees, and cool turquoise water where snorkelers encounter sunken, centuries-old cannons and anchors. Christopher Columbus is said to have stopped by, and indigenous artifacts have also been unearthed here. Boat taxi captains in Labadee charge around $40 for a round-trip excursion and $15 for cooking up a lunch of lobster, fish, octopus or enormous crabs purchased from local fishermen. For more information visit them on Facebook at Île-à-Rat. They offer PADI scuba diving, snorkeling excursions, Fishing Charters and visits to historic and scenic locations on land. Visitors will have the ability to discover Haiti’s natural splendors “above and below” and retain and share a positive experience from their visit. They offer food & beverage catering for boat excursions, lodging Stay and Dive/ snorkel excursion packages at Moulin Sur Mer Beach Resort, diving, PADI certified diving courses, snorkeling tours, Fishing Charters, land excursions and other water sports activities. For more information call 509 28 11 4043, or visit them on the web at Marina Blue Haiti. Experience unparalleled beauty as you pilot a UTV or Moto on a guided tour 2 hour tour. They depart from their office at Marina Blue Haiti. Your guide will lead you up to Kay Piat as you revel in the beauty of the mountains, marvel at the friendliness of the people, and be astonished at the comfort, safety and capability of their equipment. They encounter Haitian villages, a hospital, school, smiles and waves. At the summit you may exit your vehicle to enjoy the beauty and lifestyle of the inhabitants, speak with locals, and enjoy a dip in the natural mountain pool should you choose. For more information call 509 48 59 2867, or visit them on the web at Off Road Haiti. 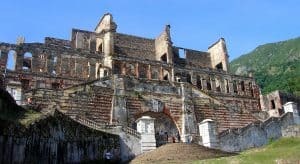 Nestled in the northern hills close to the mighty Citadelle la Ferriere, which towers high on the mountaintops above, this crumbling palatial complex was once the home of Henri Christophe, the Haitian king and leader during the wars of independence against the French. It was built atop an old plantation, mimicking the grandiose styles of European manor houses in a symbolic show of Haitian prowess and superiority. Now a UNESCO World Heritage Site, its great halls and grounds can be toured on trips out of nearby Milot and Cap-Haitien. Visitors can also see the spot where King Henri committed suicide, supposedly with a silver bullet, in 1820. For more information call 509 28 17 3555, or visit them on the web at Historic Haiti. On weekdays, this place is packed with UN and US Embassy staffers seeking healthy, fresh foods that Haiti too often lacks. Lunch is served buffet-style, with theme cuisines such as Arabic or Asian-fusion, and main courses, vegetarian options and incredible salads with homemade dressings. Hibiscus juice is always on offer, and the cafe is adorned with refurbished pallets and other reclaimed objects. For more information call 509 48 68 9890, or visit them on the web at Le Daily Gourmet Cafe. Attached to the boutique hotel La Lorraine, this classy but chilled-out restaurant, event space and art gallery is the kind of place where you could eat for a week. And drink. And do trivia. And see some art. And eat more. The menu offers traditional Dominican dishes such as kibbehand acra, along with healthy, international salads and beef carpaccio. For more information call 509 22 33 3636, or visit them on the web at Café 36. Recently opened by Jean Pierre who rarely ceases to delight, this is his best offering yet. The stylish brasserie boasts an extensive wine list along with cheese plates, homemade pastas and a tender beef filet drizzled with a decadent sauce of your choosing. Art and books abound, and jazz seems to emanate from the very walls. For more information call 509 48 24 1329, or visit them on Facebook at L’Estaminet. ne of the busiest restaurants in Cap-Haïtien, and it’s not hard to see why. There are tables facing the seafront where you can enjoy a drink, otherwise step inside to eat under bamboo thatch and load up on generous plates of Creole food or pizza. The atmosphere is lively, and at weekends there are often bands ($4 admission applies). For more information call 509 31 88 6881, or visit them on Facebook at Lakay. ‘Caribbean fusion’ aren’t words you expect to see written in a Haitian restaurant review, but Papaye carries off the idea with considerable aplomb, taking Creole dishes and jamming them up against Asian, European and other culinary influences. Somehow it works, producing one of Haiti’s classiest restaurants. For more information call 509 46 56 2482, or visit them on Facebook at Papaye. The place to see and be seen, Karibe Hôtel’s rooftop lounge is unquestionably Pétionville’s most fabulous venue to throw back a few cocktails – especially on Fridays. A fire pit, an elevated pool with colored lights, and crystal chandeliers all feed into the atmosphere of excess, and a permanently installed DJ booth starts pumping house music at around 10pm. 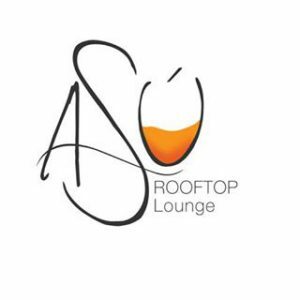 For more information call 509 28 19 2222, or visit them on Facebook at Asu Rooftop Lounge. Yes, you can get decent Mexican food here, and whole chickens, and Prestige, of course. But the main reason to come is that after dinner, this relatively unremarkable outdoor taco joint occasionally hosts wild parties and raves, with Haiti’s most talented DJs spinning. You might even need a password to get in. 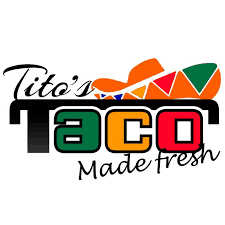 For more information call 509 48 90 8226, or visit them on Facebook at Tito’s Tacos. This new, waterfront bar and restaurant is pirate-themed, with a spectacular view of Cap-Haïtien’s bay. It’s an ideal spot for a Haitian spaghetti breakfast or a burger, but even better for the late-night parties fueled by compas music and the potent Buccaneer punch. For more information call 509 33 54 6344, or visit them on Facebook at Boukanye. Constructed of brick and stone, this low-lit drinking establishment offers the best rum sours around, along with regular salsa-dancing performances. 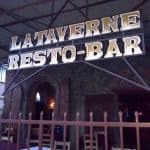 For more information call 509 34 86 9218, or visit them on Facebook at La Taverne. The NH Haiti El Rancho hotel is an upscale building in the heart of Petion-Ville, 7 kilometers from central Port-au-Prince. This is the real heart of Haiti’s capital, where most of the hotels, embassies and restaurants are located. The hotel has 72 rooms, which are furnished in a modern style. Our rooms have tiled floors, crisp, white linens and plenty of stylish, contemporary details. Features like free Wi-Fi, air conditioning and satellite TV come as standard. Superior and Premium rooms are available for guests, as are Suites. The hotel has an outdoor pool, next to which is a large terrace dotted with palm trees. We also have a restaurant serving Haitian and international cuisine. You can also keep busy at our gym or casino. For more information, pricing, or to reserve your room, visit NH Haiti El Rancho. Located in the heart of Jacmel, this hotel is within a 10-minute walk of Maison Cadet, Salubria Gallery, and Iron Market. Cathedral of Saint Philippe and Saint Jacques is 0.5 miles away. This hotel features a restaurant, a nightclub, and a bar/lounge. Free buffet breakfast is provided, as well as free WiFi in public areas, free self parking, and a free beach shuttle. Additionally, a poolside bar, dry cleaning, and tour/ticket assistance are onsite. For more information, pricing, or to reserve your room, visit Hotel Florita. BW Premier is in the heart of Petion-Ville and features modern décor, an outdoor swimming pool and free Wi-Fi in all areas. This hotel features an on-site whiskey bar. Featuring air conditioning, each luxurious room and suite at this property comes equipped with a flat-screen TV with cable channels and a desk. They also have a refrigerator, telephone and safety-deposit box. There is a Mediterranean restaurant within a quarter mile of BW Premier Petion-Ville, and guests can find a pizza place only 500 feet away. The hotel also features a spa, meeting facilities, fitness center, dry cleaning services and an airport shuttle. For more information, pricing, or to reserve your room, visit Best Western Premier Petion-Ville. Featuring free WiFi, an outdoor pool and a children’s playground, Kaliko Beach Club All Inclusive Resort offers accommodation in Carries. The hotel has a terrace and a private beach area, and guests can enjoy a drink at the bar. Free private parking is available on site. Every room comes with a flat-screen TV with satellite channels. Rooms are fitted with a private bathroom fitted with a shower. The All inclusive offers 3 meals, snacks and unlimited drinks. For more information, pricing, or to reserve your room, visit Kaliko Beach Club – All Inclusive. Royal Decameron Indigo Beach Resort & Spa is a beachfront resort located in Montrouis and offers an outdoor swimming pool and an on-site restaurant. Free WiFi access is available only in the lobby. At Royal Decameron Indigo Beach Resort & Spa you will find meeting facilities, a shared lounge and a tour desk. An array of activities can be enjoyed on site or in the surroundings, including table tennis and canoeing. All inclusive program offers Buffet-style breakfast, lunch and dinner, A la carte dinners and snacks, unlimited national alcoholic beverages, daily activities program, non-motorized water sports, tennis courts with lessons and nightly entertainment. For more information, pricing, or to reserve your room, visit Royal Decameron Indigo Beach Resort & Spa. You made Haiti look so inviting and now I really want to go. You always think of Haiti as being this very poor country but it’s a beautiful place. Nice and tranquil and relaxing. Haiti is now on my bucket list of places to go on a vacation. Great! Yes, it is a poor country but tourism really helps their economy and it is a beautiful country for sure. Thanks for reading the Haiti Travel Guide Phyllis! Great cover article. You put a lot of thought and information into it covering multiple areas at once. I have learned some new information on Haiti and looks like a great cruise destination. Thanks for all you effort and I will bookmark your post 🙂 I look forward to reading about many more great destinations, you have a wealth of information! Thank you so much for reading and glad you enjoyed! Yes, most people don’t realize what a gem Haiti is. Actually I used to think the same thing too, but it is a wonderful beach destination. Thanks for reading my Haiti Travel Guide! I love to travel. I’ve been to a lot of destinations like Europe, Hawaii the Caribbean and cruises. I’ve never been to Haiti though this is on my list of places I want to see. And after reading your post on Haiti it makes me want to go even more. In fact I think I will make it my next vacation. You were very thorough in your article you covered just about everything a travel needs to know from how to get around where to eat and the main attractions. Do you have any recommendations on the best resorts to stay at that are a 5 star? The videos on Haiti were great I enjoyed watching them and reading this article too. Thanks for the post. I am glad you enjoyed. The hotels I listed in the post are the BEST picks for Haiti. They are the top rated hotels by guests. No 5 star resorts, but all of them are 4.5 stars, which in my book is pretty highly rated! Thanks for visiting my Haiti Travel Guide. I am a cruise specialist and Haiti is a very popular destination for cruise ships. My guests often ask me what there is to do in Haiti and I many times they don’t really explore the island. Your information will come in really handy next time someone asks me the question. Great! I am glad I can help. It is funny because I have been looking at cruises for me and my son. 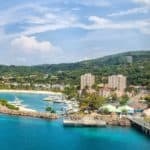 I see some with Haiti on the Itinerary, and before I researched Haiti, I crossed any of these cruises off the list! Now, I will pretty much go anywhere on a cruise. 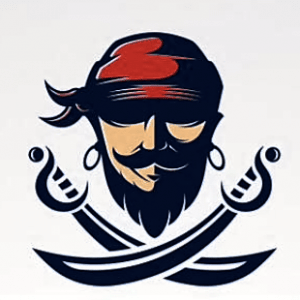 Specifically looking into Eastern Caribbean cruises! Thanks for visiting Flavia! If you did not write this post about Haiti, I would not know that the island has all this to offer visitors. Even though I live in the Caribbean and a short flight to Haiti, I have never visited because of all the negative remarks being said about the island. Now that this post has shown the picturesque scenery of the island, I will be planning a trip soon. I will bookmark this Haiti Travel Guide page. Thank you Carol, and yes most people do not know how beautiful Haiti is or what it really has to offer. I am glad my Haiti Travel Guide showed you just how much beauty there is! Please let me know if you have any questions. I’ve always wanted to go to the Great Haiti! Now that I know that the hottest months are between Nov-March and according to my calendar that’s coming up! I’m seriously contemplating spending Christmas there with my fiance! The taxi rides you described sound like they would be a great place to learn where’s good to eat for us vegetarians. Bassin Bleu looks amazing, I better start saving up for this trip I’m suddenly planning lol! It honestly would be a great present for anyone looking to get away for part of the North American winter. I agree! It is actually very reasonable to vacation there. And they have wonderful beaches, great food, and lots and lots of stuff to explore. This island looks astonishing! I never really looked into visiting Haiti but after reading this, I definitely am wanting to visit there someday. One restaurant you listed that caught my attention is Boukanye which I am interested in visiting for the theme. The Off Road Haiti also sounds like it would be a blast to me and I would like to give that a whirl as well. There seems to be so many areas and things to do there that I would be interested in going for. My question is, what areas did you find to be most interesting that you would recommend visitors going first? Also, are there any activities (like maybe skydiving) that you would recommend others giving a try if they got a chance? Well, everything I have listed is the best of the best. The best restaurants, the best things to do, the best hotels. If you stick to my list, you will have a blast…assuming your tastes are similar 🙂 Thank you for reading, and yes most people would not associate Haiti with a beautiful beach vacation! I would never have thought of Haiti as a holiday destination, but I don’t know why! It looks amazing and thank you for bringing it to my attention. 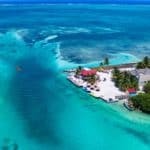 Normally, you get tried and tested holiday resorts offered by the big boys and they’re all the same, so to bring a destination to our attention that’s as diverse, vibrant and exotic as Haiti is well worth investigation! Thanks for your post – it’s got me thinking…..! 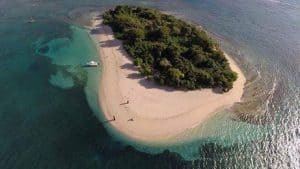 You know and Haiti is actually a great beach destination with so many wonderful beaches, great food, and lost of interesting things to do and see. It is well worth checking into for sure! I love your website. It has loads of information on traveling to the beautiful destination of Haiti. I was considering a vacation here, so am glad I found this information and I can plan accordingly. I did not know there were so many beautiful beaches there. 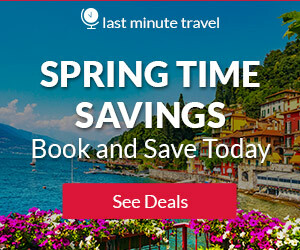 Is there a best time to travel to Haiti? Thank you Jalla! I am glad you found everything you need to start planning your vacation. The weather is at its best during the dry spell from November through to March and this is generally considered the best time to visit Haiti. Please let me know if you need any other information. 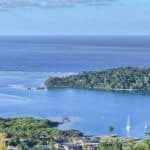 This is a great review/information page on Haiti. A lot of good tips here as well as recommendations. One would be wise to take the tips on hotel booking. Things can get messy and it doesn’t hurt to take precautions, especially when traveling to a third world nation. It is a very poor population where I believe around 77% of the people are in poverty so precautions of all sorts are a good thing to keep in mind. Most definitely need to take precautions. Haiti is very beautiful and it can be a great vacation experience. Just have to be smart and plan ahead. Quite an informative post. In places such as Haiti, there is very rich culture. One way to experience the culture is via taxis. Most of the taxis are mini-buses where you travel with other passengers. You do get to see how people live and interact with each other. For many tourists this is culture shock, but it can be a great deal of fun and quite memorable if you go with the flow. The people are also super-friendly, so it is easy to communicate and have fun. 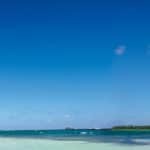 I like this post because it sheds light on a place that is not usually the first choice for a Caribbean destination, but it is every bit as worth as the well-known ones. 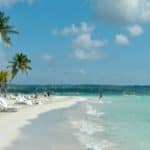 It is every bit as worth going to as an other Caribbean destination for sure! Haiti is one of those places that most would not think to go to, but they have so much to offer besides all of their beautiful beaches 🙂 Thanks for visiting BeachTravelDestinations.com.